Good dental health is essential for overall health and well-being. 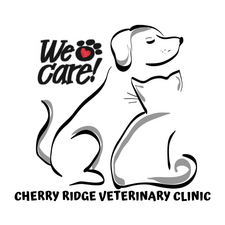 At CRVC we provide comprehensive dental care for dogs and cats. A regular dental exam is one of the most important things you can do to improve quality and the longevity of your pet's life. Without exams and regular care, cats and dogs can develop periodontal disease by the age of three. Routine dental exams and teeth cleaning can be combined with your pet's annual exam. Thorough teeth cleaning involves more than just scraping tartar off the teeth. 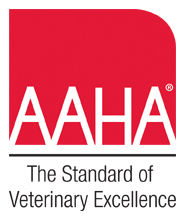 While under anesthesia, your pet will receive a comprehensive oral health assessment and treatment (COHAT). Your pet's exam has revealed that he/she is in need of a professional dental cleaning. Periodontal disease is the most common infectious disease in cats and dogs. Addressing periodontal disease early can prevent the spread of infection through the bloodstream, affecting major organs such as the liver, kidney and heart, and can extend your pet's life up to two years. Getting your pet ready for a thorough oral evaluation and dental cleaning, aka "COHAT" will have a few steps. Pets seven years or older will require blood work before their dental. This can be done several days before the dental day at a lesser price when sent to an outside laboratory, or we can do it the morning of the dental in-house. The evening prior to the dental, we ask that they do not eat after 9:00pm, but water is ok overnight. Drop off for dental is between 7:30 and 8:30 am. At this time, a technician will sign your pet into the clinic and they will stay with us for the day. Whenever anesthesia is needed, a thorough pre-op examination is performed to ensure the patient is healthy enough for anesthesia. We may run blood work, urinalysis, X-Rays, pr EKG tests to check for any risk factors.Once this is done the patient is placed in a cage or run with a blanket. Monitors are placed to monitor heart and lungs - throughout the procedure, we monitor the patients vital signs such as heart rate, respirations, blood pressure, and body temperature. They are placed on a heating pad to maintain core body temperature. Dental X-Rays may be needed - these are sometimes needed to evaluate the teeth more. We use the latest technology, digital dental x-rays to better diagnose. Digiital radiology allows us to obtain accurate images of problematic teeth so that we can determine the course of action for your pet. Digital radiology achieves this by: finding tooth root fragments not visible during an oral exam, evaluating the vitality of the tooth, allowing for proper orientation prior to extractions, and evaluating other tooth defects. This expansion of our digital radiography provides the highest quality dental films to evaluate your pet. Temperature is checked at this time. After examining an awake pet, we provide you with an estimate. We do our very best to adhere to this estimate, but keep in mind we sometimes find additional care is needed during the anesthetized oral exam that was not visible in the awake pet. If you have any questions or would like to schedule your pet's dental cleaning, please call us at 253-2402. We look forward to improving your pet's health very soon!